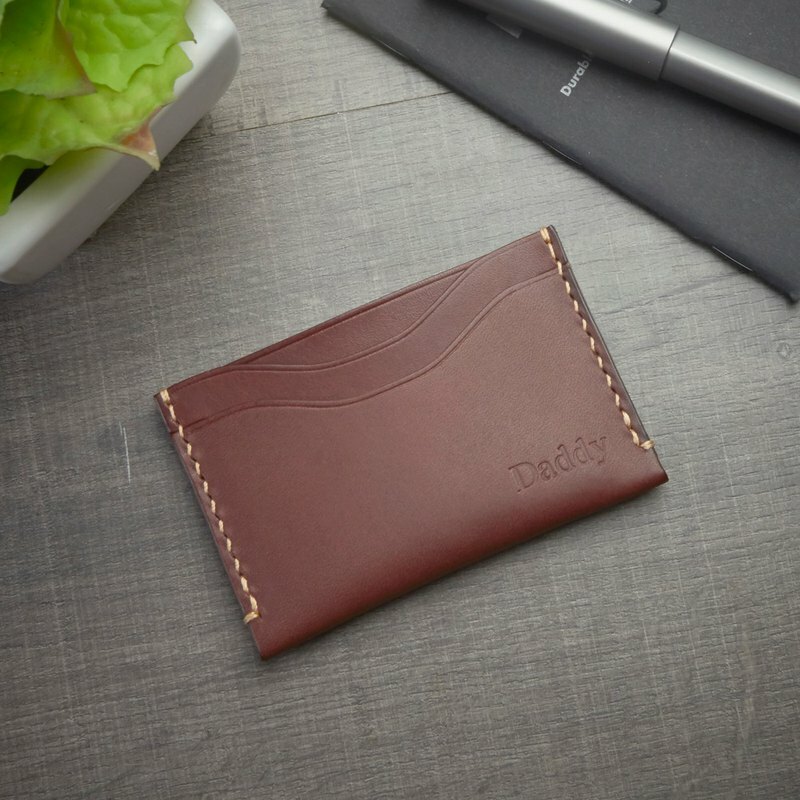 Small leather goods, card sleeve, we offer name engraved for your name or make a gift for someone special for you. Brown vegetable tanned leather card sleeve with free option your name, initial engraved. Features: - 5 slots - 6 cards in the pocket and many name cards (depend on thickness of card). - High quality vegetable tanned leather. - Hand made product. Package included. - one of card Sleeve. - cloth bag and paper box package. * If you purchase this item for gift we available free paper wrap FREE! just inform us when you check out. Dimension: Size: approximately height70mm x width 130mm x thickness 5mm Natural leather is unique, color and texture, by colouring may appear slightly different than shown in the images. // Personalized Text // Please inform to me in dialog box when you check out for FREE!